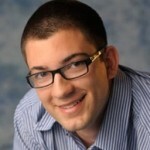 Eric Chaump (@EricChaump) is an MBA student at UN Reno. He’s currently enrolled in Dr. Bret Simmons personal branding course and is moving quickly to help people get Professionally Diversified. He came upon this set of ideas when watching his own family members end up getting squeezed out of their job due to the recession. By using several different risk arbitrage strategies Eric is teaching his blog readers how to not be dependent upon a single source of income. Definitely go check out his blog at http://ericchaump.wordpress.com. I really think he has the chops to do help people and become a recognized blogger. Enjoy! © 2010 Kade Dworkin. All Rights Reserved.